It happened again yesterday during an appointment with my son's new cardiologist. We were going over results and discussing care plans and she paused, looking at me almost surprised, "you ask really good questions." I started to apologize but took it back, "I'm a doula so I like to ask a lot of questions and know all of our care options." That's when she sighed and said one of the saddest phrases I often hear, "I could have really used a doula." She had just come back from maternity leave. For some reason hearing it this time left me feeling particularly disheartened - why are so many women and families going through birth and early postpartum without support? Why are they looking back and wishing they had done it differently? I mean, the studies are in and all point to the need for the role of the doula in birth and postpartum. Families without a doula miss out on continuous, undivided, whole-person focused attention and care that the medical system alone cannot provide. There is almost no greater life changing experience than birthing and bringing home a child. The physical and emotional demands, the learning curve, and the healing process - these require support. They are too much to do alone, or even with a supportive partner. You both deserve to be cared for and nurtured as you enter a profound time of caring for and nurturing your new baby. Having the help you need helps you have a better experience and makes you feel more confident during one of the biggest adventures of your life. Don't look back and wish you had had a doula. Your story is too important for it to have regret and heartache. Ten years ago there was a birth - it was the birth of a son, a mother, a father, a family, and of a calling. But it wasn't easy and it left scars both seen and unseen. It was a beautiful, warm fall morning in New England when I finally went into labor. I was surrounded with loving support and I felt strong as I experienced labor and the birth of my son. 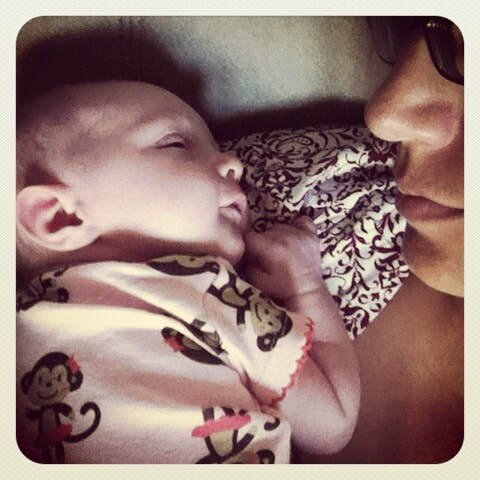 We became parents and I realized my desire to become a doula all in the same experience. That day was perfect in my mind. ​The next day was hard. Earth shattering hard. Our son was not OK and we had to take him to the emergency room since we had already been discharged and gone home. They soon discovered he would need to have surgery and we were put in an ambulance to get him to Boston Children's Hospital NICU. I could write a book on the NICU experience alone but will try to summarize it here - being there and having to be there creates an emotional wound as you cry, worry, feel helpless and fearful. 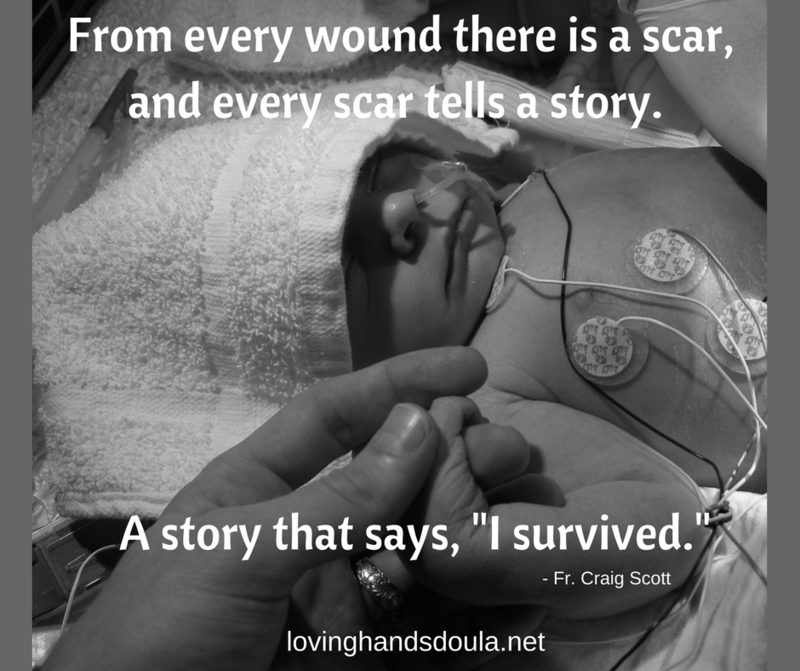 My son's scars were physical and ours were deep inward emotional... This was just the beginning of all the tests, appointments, surgeries, doctors, and information. Through each challenge we hurt a little, we grew a little, and as the scars healed we realized how strong we truly were. ​I survived. We survived. And through the scars that shaped our story we grew and we thrived. Today he is strong, empathetic, and brave. Today I am a stronger mother and a better doula for families going through hard times. ​As a doula I share in these big, hard, beautiful, sometimes painful life experiences that grow and shape mothers, fathers, and families. I step into these stories and witness their strength and together we survive. Happy 10 amazing years to my survivor! ​Thanks for teaching us who we are and how strong we can be after the wounds and scars have healed. Doulas are caregivers who support mothers and their partners through childbirth by providing information, emotional encouragement, as well as physical support and comfort during labor. A doula does not provide any medical care for the mother or baby. She listens, she soothes, she sympathizes, she encourages, and she stays. Having this sort of non-medical support for birthing women has been happening around the world for centuries. Mothers, aunts, sisters or other close companions familiar with birth would support and encourage a woman through her labor. In our culture today, as we have focused attention primarily on the medical needs of women and babies, it is rare for mothers to have this sort of helper, and many women have not had the depth of care and attention they need during their birth experiences. Fathers are now an integral part of the birth as well and are expected to bear the brunt of this support for the mother by themselves. Some of them may feel overwhelmed and unprepared for this role. We must not forget that they are having this life experience as well and may need comfort and reassurance throughout the process, as well as help physically supporting the mother. Doulas understand the complex needs of a woman in labor and they bring a sense of comfort, reassurance, and many other benefits to the woman and her family during the birth process. Doulas possess an understanding and patience for the process of birth and respect the wants and needs of the woman in labor. Doula support equips a mother and her partner with knowledge, confidence, and comfort for one of the most profound experiences of their life. Focusing on issues that matter to moms and families.